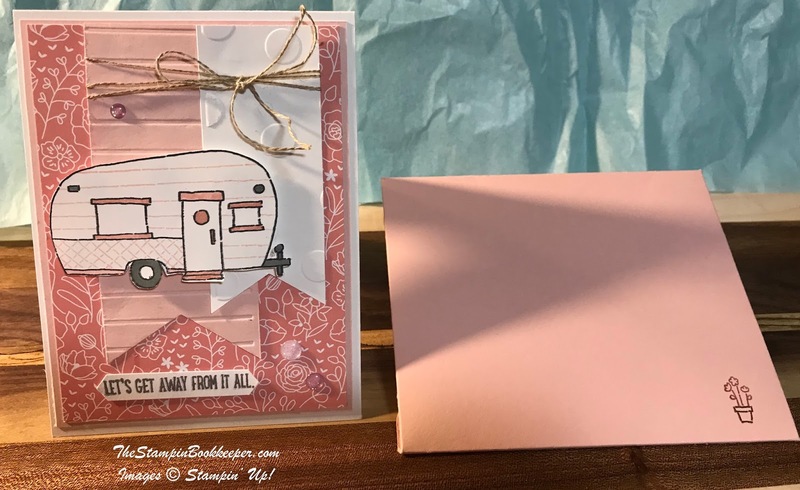 Glamper Greetings stamp set used with Whisper White Thick for the card base, Powder Pink mat and Powder Pink scraps for the banner. Sweet Soiree DSP for the second mat and Whisper White pieces for the second banner and fussy cut camper that is two stamped. Coloring done with smoky slate and Powder pink markers. The banners were embossed with the Simple Stripes and Polka Dot Basics Textured Impressions Embossing Folder.